It has definitely been a while since HP's last appearance on the mobile scene and even longer since the company dipped its foot in Windows Mobile territory. However, 2016 might actually mark a return to said market, as suggested by a mysterious Windows 10 handset, that has been popping up in various rumors since the end of last year. Originally dubbed the HP "Falcon" a new leak, courtesy of reputable source Evan Blass, claims that the device will actually come out as the HP Elite x3. 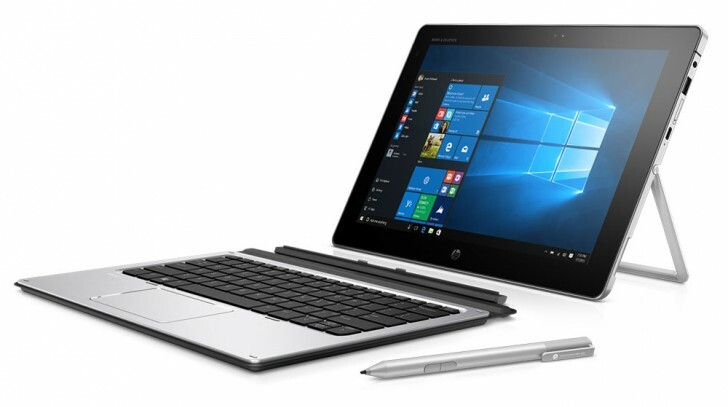 This is a slightly perplexing title choice, as a quick search reveals that the HP Elite x2, pictured below, is actually a 2-in-1 device released back in 2012 - quite a different cup of tea. In any case, it appears that @evleaks is referring to the same smartphone that was initially spotted in a GFXBench listing back in December 2015. According to said source, it will tun on Qualcomm's new Snapdragon 820 SoC and have a quite spacious 5.8-inch 2560 x 1440 pixel display - an impressive setup, especially within the Windows realm. Oddly enough, the same benchmark reported only 1GB of RAM, but that seems like a mistake, when considering the rest of the specs, like the 64GB of storage, for instance. The suggested camera setup also looks impressive on paper, with a 20MP shooter on the back and a 12MP one on the front. Besides the name change, Evan also mentioned that the device looks "pretty smart -- except, maybe, for the odd pattern of speaker grille holes. ", which is cryptic at best, but does spark hopes that the HP Elite x3 will come with an elegant exterior. It is also worth noting that another industry source reported that the HP Elite x3 could actually be announced at MWC 2016, which could explain why we are starting to hear more and more about it. Here's to hoping the high-end Windows phone does become reality at the Barcelona venue in a few days.